The Budget Mom™ exists to empower women to build a life they love on a budget they understand and can afford. Just like you, I am continually trying to learn how to be better at things that matter, like living on less, appreciating what I have, and being the best dang mom that I can be. I want you to feel hope, inspiration, and confidence as you explore all that TBM™ has to offer. DO YOU FEEL OVERWHELMED BY YOUR FINANCES? If you're like most of my readers, you're a woman who is goal-driven, wanting to tackle your financial life so you can provide a better life for your family. An easier life. But something keeps getting in the way: There just seems to be too many steps, too much confusing information, so much to do and too little time. Are you tired of being sick and tired of trying to keep up, but always feeling like you're getting even further behind? I know what it feels like trying to make ends meet when you're paycheck just isn't enough. To want to make a change for the better, but have no clue on where to start. I hope to make the process easier by showing you where you can find the most helpful resources on TBM™. I provide simple, easy-to-follow solutions to money management. By giving you the action steps you need to take, I know you will be able to see positive, life-impacting progress. You can find all of TBM's information broken down into five main categories. Having a savings plan in place is critical to your financial goals. Find tips on how to save for your next vacation, how to create an emergency savings account, saving for retirement, and how to make saving easier by putting it on autopilot. 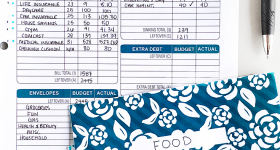 Nothing is more important than setting up a budget. Find tips on how to create a realistic budget, how-to posts that cover different methods, guides on how to stick to your budget, and tips on how to make budgeting easier. I get it. Life can get busy. It's all about finding balance. Find tips and resources that cover all aspects of your life. From recipes to parenting and DIY, plus thoughts on happiness, photography, travel...and everything in between. Carrying debt is like walking around with a massive weight on your shoulders. Find tips on how to pay off your debt once and for all! From how-to posts, debt worksheets, guides, credit report and score tips, and inspiration. Saving for retirement, investing, and financial planning are all important pieces to your overall financial picture. 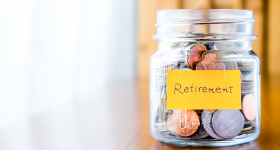 Read about retirement tips, such as saving and strategies. Find helpful information about investing and tips to make sure you have the brightest financial future possible. A 7-day email course that will teach you how to set up a successful budget using the cash envelope method. The course includes over 20 different unique cash envelop designs that you can make at home, and you will also get access to over 15 helpful worksheets. 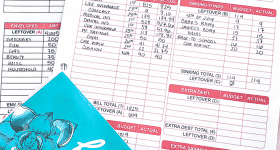 If you are wondering how to start using the budgeting method that has changed my life, this is the first step you need to take! Do you want lifetime access to TBM's free cash envelopes, and 20 other helpful printables? Whether you are wanting to track your savings goals or pay for your next vacation with cash, my free resources and tools will help you get there! The resource library is password protected. Enter your email ONCE and I will send you the password! Do you need daily inspiration & support? Instagram is where you can find all of my helpful video tutorials, budget overviews & recaps, daily motivational tips, meal plan updates, and important life updates! Make sure to check out my highlights & IGTV Channel for answers to your most common questions! A budget needs to be a true reflection of your life. It’s personal. I wanted to find a resource that could help bring organization to my finances, a tool that could help me budget my money on a pay schedule that worked for me, but also help me pay off debt and save the most of my hard-earned dollars, and–most importantly-help me LIVE the life I always dreamed about without having to constantly worry about money in the back of my mind. I couldn’t find it. So I decided to create it myself. Sign up for our weekly newsletter filled with inspiration, new content, and exclusive TBM freebies. You can find me on Facebook & Instagram where I share a lot of helpful articles, fun tips, and recipes. Watch in-depth videos on my YouTube or see what I'm pinning over on Pinterest! You can always email me directly at [email protected] I would love to hear from you!